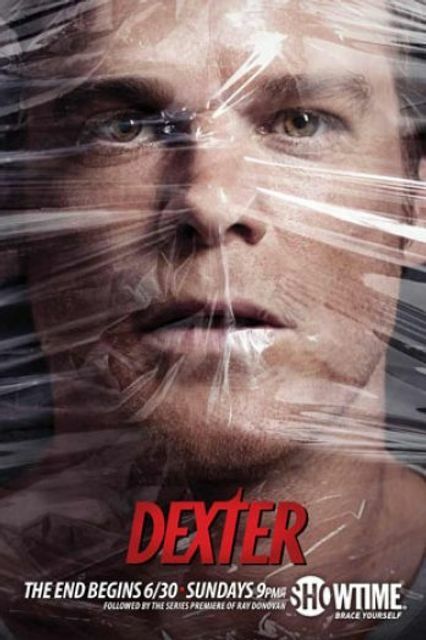 So, a woman starts to walk up the stairs of a subway station in New York City and sees an advertisement for the show Dexter featuring a large photograph of Michael C. Hall wrapped in plastic. At that point, she becomes so "startled, shocked and overwhelmed," that she panics and falls down the stairs, injuring her foot and ankle. The woman, now a plaintiff, sued Showtime for placing a "tripping and/or falling hazard" on a public walkway, which she alleged created a dangerous condition for pedestrians. She sued various other parties as well, including the Metropolitan Transportation Authority. The plaintiff argued that Showtime's decision to promote the program in such a "provocative and shocking manner" made Showtime liable for her injuries. She alleged that the "shockvertisement" was "a malignant optical distraction buried in the stairs that functionally operated, in certain foreseeable circumstances, as an ocular shock trap or hazard to unwary pedestrians." Dismissing the case against Showtime and the other parties, the court wrote, "A cause of action arising solely out of the placement of an advertisement is not a cognizable cause of action in New York." The court explained that Showtime had no special obligation to the plaintiff by placing the ad in the subway station and no notice that the poster created any kind of dangerous condition. "A cause of action arising solely out of the placement of an advertisement is not a cognizable cause of action in New York"